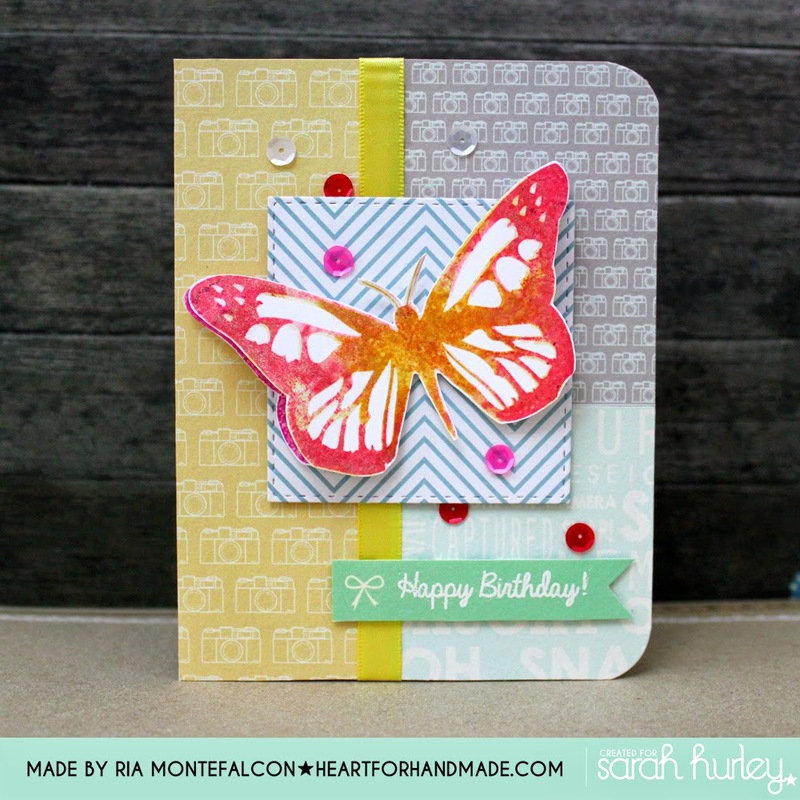 I’m sharing today a quick birthday card using double stamping. 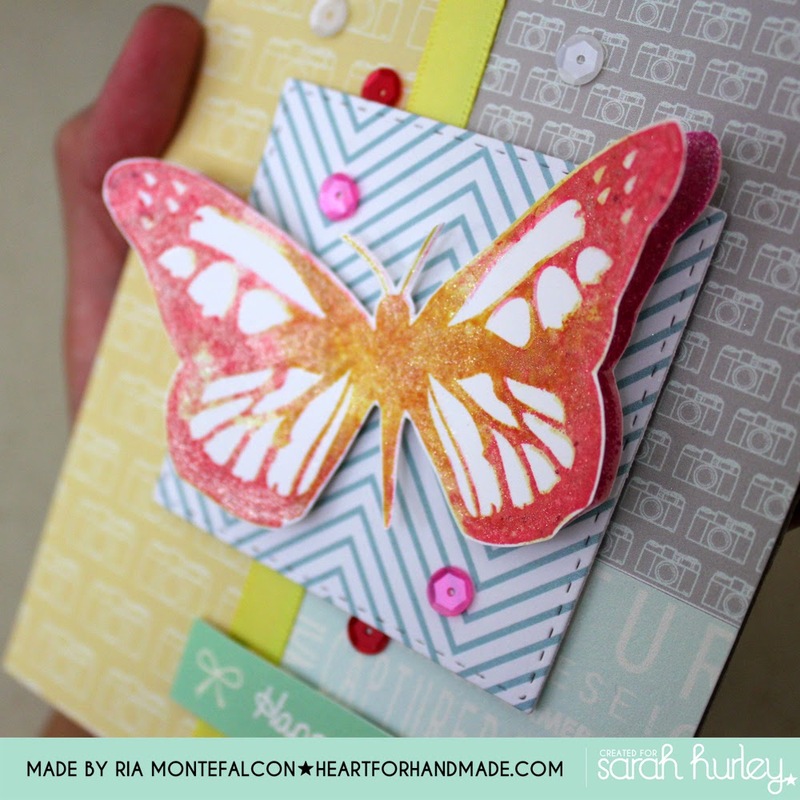 I have this Large size butterfly stamp from Sarah that has been calling my name for some time to use up. Rather than stamping only in one color, I double stamped the same butterfly with 2-3 different ink colors to give some color variation. After stamping the base color (lighter shade), I stamped another darker color on top of it to give different color look. I then fussy cut them and made another stamping that went beneath the other butterfly. This adds dimension and another color underneath the top butterfly. I added Wink of Stella clear glitter pen on the butterflies for subtle shine. For the card base, I used three (3) different patterned papers from Sarah. I also have a yellow satin ribbon that I added in the strip to make cleaner division between the patterned papers. Some red, pink and white sequins were added for some finishing touches. And the white embossed sentiment of course to complete the card.